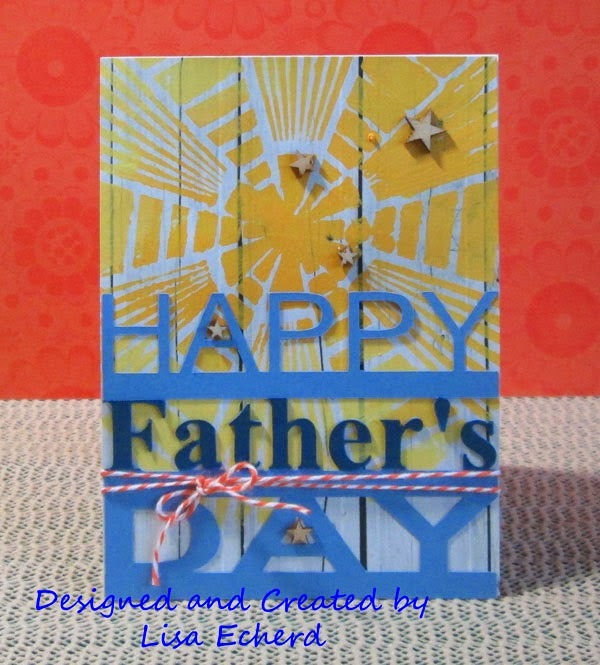 To my father and my husband and all the Dad's out there, Happy Father's Day! 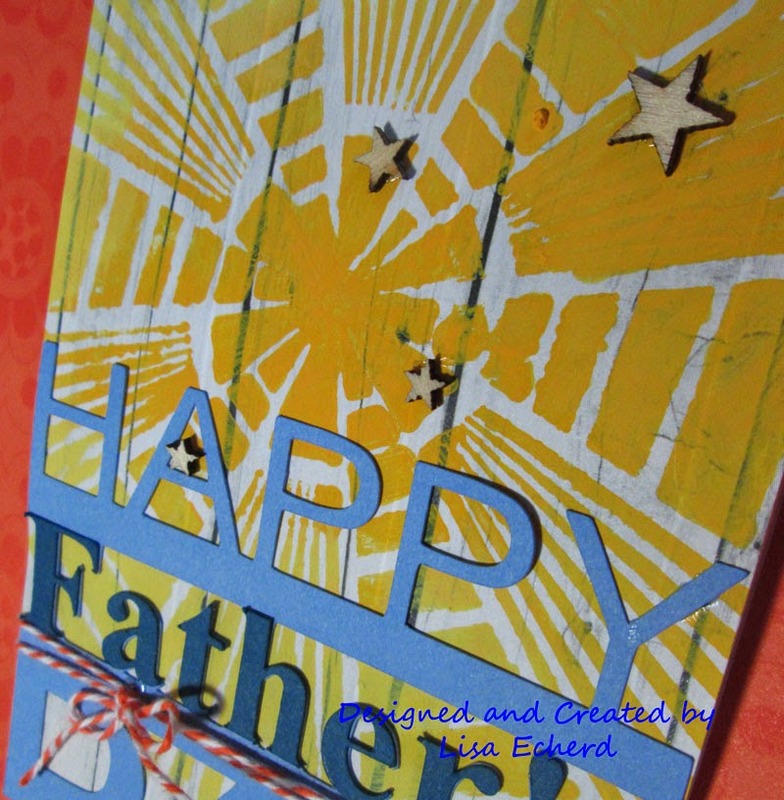 For my card, I stenciled over a white woodgrain paper with a Crafter's Workshop Stencil and two shades of yellow craft paint. It sort of looks like a painted floor. The words are cut with the Silhouette. I just typed them in with basic fonts and added rectangles to connect the words. It was so nice getting back into my craft room yesterday. I also did some wedding cards I'll share later in the week. Thanks for stopping by today! I love love the word you did with your machine. I love that stencil work. Awesome!!! Fabulous card, Lisa! Love the textures. The stenciling over the woodgrain looks absolutely amazing!